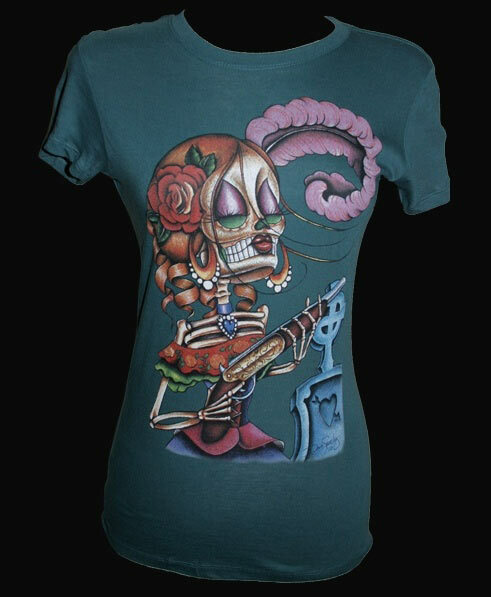 Black Market Art Company ladies Bonita short sleeved cotton tshirt in teal. 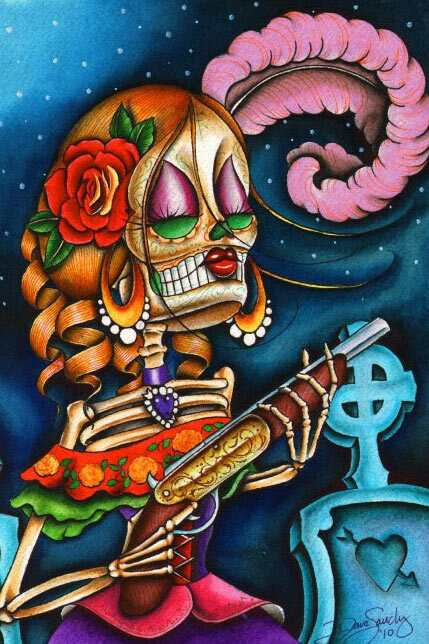 Featuring screened print from artist Dave Sanchez of dia de los muertos lady wielding a gun! Tattoo artist Dave Sanchez is best known for his Dia de los Muertos art. A resident of Southern California, his tattoo art and script has a distinct Latino flavor. Dave Sanchez has been featured in International Tattoo Art magazine. Ladies juniors contemporary sizing which runs small. Consider ordering one size larger than usual.